Chemical peeling continues to be the gold standard in cosmetic enhancement of facial skin. Chemical peeling of the face has been performed for many years. The ancient Egyptians used particles of alabaster mixed with milk and honey to abrade facial skin to create tightening. In Egypt Cleopatra is said to have bathed in sour milk, while French women have applied fermented wine to their faces to improve the quality of the skin. Chemical peels are becoming more and more popular as a way to freshen the face by removing the outer layer of skin to reveal the smoother, newer skin underneath. People of all skin types can benefit from chemical peels to give their face a younger, healthier look. A chemical peel is an outpatient procedure that uses a chemical to remove damaged skin cells from the outer layer of skin. The chemical is applied with a brush or other soft applicator and usually left on your skin only for a few minutes. clear facial blemishes for a period of time. reduce splotches, age spots, or uneven skin tone. reduce the appearance of scars caused by acne and can sometimes control acne breakouts. A chemical peel can be performed on the entire face or just the problem areas. Certain types of chemical peels can be used on other parts of the body besides the face. 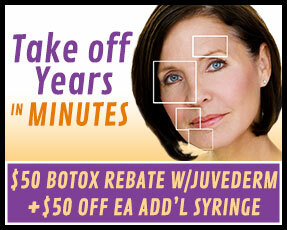 From start to finish the procedure should take approximately 45 minutes. There is little or no downtime. Due to multiple variables, you may or may not peel. Although, you may notice light flaking in localized areas for several days. Peeling usually begins the second day after treatment and may continue for 5 days. Your skin may experience residual redness for 24 hours. Your skin may feel warm, tight, and "pulled" for several days. Do not wash your face for at least 4 hours after your peel. When washing your face, do not scrub. Use a gentle cleanser. You may be more sensitive to the sun, so limit sun exposure during treatment and for at least one week afterwards. Use sun protection for the face of at least SPF 30 or higher. Do not pick or pull at loose or exfoliating skin. Avoid strenuous exercise and swimming for at least 48 hrs, as the perspiration may irritate the skin. Avoid hot tubs, Jacuzzis, saunas, and very hot showers for 48hrs. Only use mineral makeup on the day of your peel. Avoid wearing foundation after the treatment or during the days when the skin is actually peeling. Many non-mineral foundations contain ingredients that are greasy, fragranced, and irritating. Do not have any other facial treatments such as IPL/, laser, electolysis or waxing for at least one week after your peel. You may resume regular use of Retin-A, alpha-hydroxy acid (AHA) products, or bleaching creams only after the peeling process is complete. We usually recommend you receive your chemical peel every three weeks for maximum benefits. 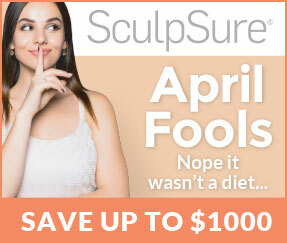 Ask your skin care professional when to schedule your next peel. These innovative and proven light-to-medium depth peel formulas effectively exfoliate with blends of lactic, citric and salicylic acids and resorcinol, while bleaching and inhibiting pigment production. 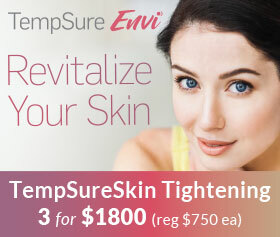 These peels help repair and reduce breakouts, control oil, soften lines and provide a more even, smoother skin texture. Talk to us about if this is right for you. 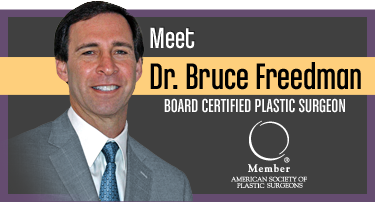 Trichloroacetic acid (TCA) peels are often thought of as very aggressive and producing substantial discomfort. 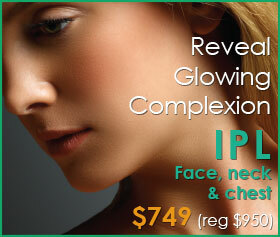 Radiance Medspa Fairfax treats with PCA Professional™ TCA peels. These peels are very different from the standard. PCA's TCA solutions are blends formulated with many ingredients including lactic acid, ascorbic acid (vitamin C), plumping phytohormones and kojic and azelaic acids to produce dramatic results without the discomfort and downtime associated with traditional TCA peels. .
Salicylic acid is a beta-hydroxy acid and the only member of the beta-hydroxy acid family. Salicylic acid is beneficial for acne vulgaris, enlarged pores, rough and oily skin, melasma, post-inflammatory hyperpigmentation, and photoaging. Anyone who wants their skin to look better and help fight acne vulgaris, enlarged pores, rough and oily skin, melasma, post-inflammatory hyperpigmentation and photoaging or general poor skin quality will benefit most from this peel. Retinol treatments will encourage additional flaking and peeling, and may be used alone or on top of any other PCA Professional™ chemical peel to produce a tightening and brightening effect. The retinol (vitamin A) content in some PCA Peels helps increase cell turnover to keep skin looking fresh. Most retinols work well on all skin types and conditions. 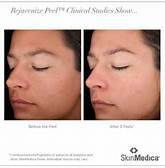 Vitalize Peel is a popular SkinMedica brand (now Allergan) peel that is appropriate for all Skin Types. It contains a proprietary blend of ingredients to help rejuvenate the skin. What is the active ingredient in this peel? Vitalize Peel is best for skin types with mild to moderate skin imperfections and acne. Vitalize Peel is our most popular chemical peel that delivers results you can see with little downtime. Although improvement is often noted with one peel, a series of 4-6 is recommended. Vi Peel contains a synergistic blend of powerful ingredients suitable for all skin types, for dramatic results with virtually no pain, no skin preparation and moderate downtime. For most patients, peels should be done three to four times a year. However, the frequency of the peel depends on various factors, and will be determined by your practitioner. For extremely damaged skin, the VI Peel can initially be done once a month to get quicker desired results. Without exception, obsolete peels of the past epitomize the "No pain, no gain" approach to skin care. Before the Vi Peel the deeper the peel, the more painful, the more downtime, the better the results. The VI Peel is the first peel to combine the strongest and most effective acids, yet it's virtually painless with little downtime. The many innovations that created the Vi Peel combine to allow ALL skin types to enjoy the benefits of the peel. For the first time, African-American and darker skin types such as Asian and Latin patients can experience anti-aging and restorative skin repair previously unavailable. The skin peeling associated with the Vi Peel is a light, fluffy peel that will start on day three and generally be finished by the end of day four. The peeling is easily hidden by moisturizer. In some cases, the peel is virtually invisible. Patients using Retin A may experience heavier peeling. The peel can be modulated by your skin care provider to produce a deeper, more aggressive peel, if necessary, depending on your skin condition. It tackles skin problems at the cellular level rather than just burning skin off. Thanks to the concerted actions of its many acids and vitamins, it will help erase fine lines and wrinkles, shrink enlarged pores and build collagen and elastin which tighten skin. It is extremely effective in reducing or eliminating hyper pigmentation including melasma, the most difficult pigmentation issue to correct. 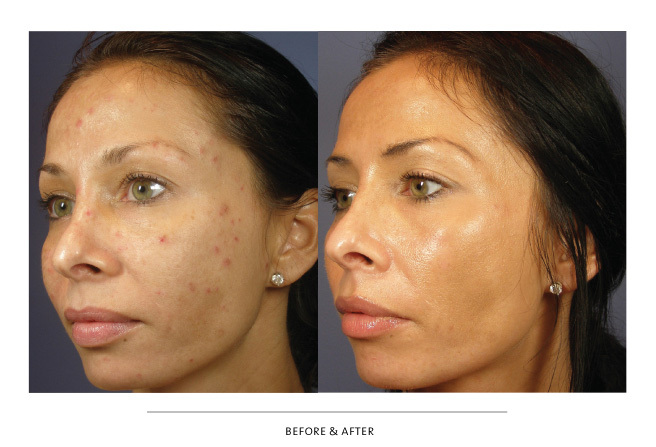 The Vi Peel also provides excellent results for acne. The peel may be repeated as often as every two weeks initially, if necessary, for damaged skin and problematic skin. Our recommendation for maintenance of average skin would be once every three months to prevent damage and aging of the skin. Your doctor or skin care professional will evaluate your skin, as well as your goals and expectations and make an appropriate recommendation for ongoing skin care.